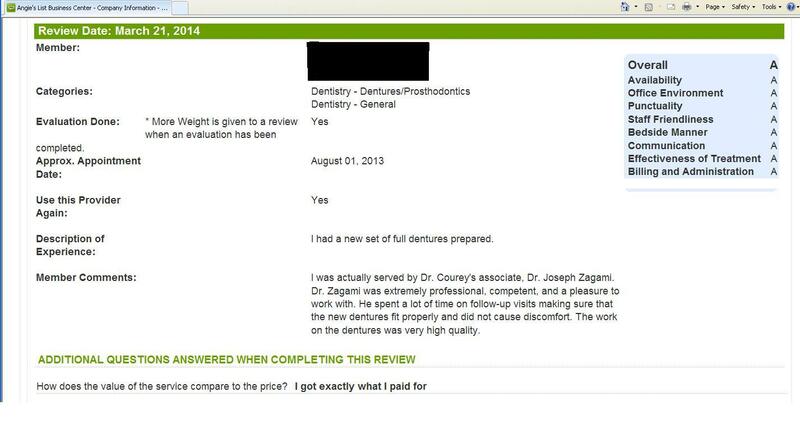 Dr. Zagami receives another great review! Recently, Dr. Joseph Zagami received another great patient review. The team of Specialized Dentistry of New Jersey is grateful for the kind words, referrals, and reviews of our patients. Dr. Joseph Zagami, a New York City Prosthodontist, and dentist at our Manalapan office recently received a review on Angie's List. "I was actually served by Dr. Courey's associate, Dr. Joseph Zagami. Dr. Zagami was extremely professional, competent, and a pleasure to work with. He spent a lot of time on follow-up visits making sure that the new dentures fit properly and did not cause discomfort. The work on the dentures was very high quality." Thank you to our patient from Old Bridge New Jersey for the kind words. We love what we do and we love our patients!